A designed for purpose sheath for your m870 breacher. *Designed specifically for Tokyo Marui M87 Breacher! *Multi ways to carry by selecting the additional attachment parts included. *Semi-hard& cushioned materials used for speedy in & out action! M870 Breacher compatible shotgun sheath with various attachment parts, velcro opening, MOLLE belts will allow you to wear the Sheath in multi ways. 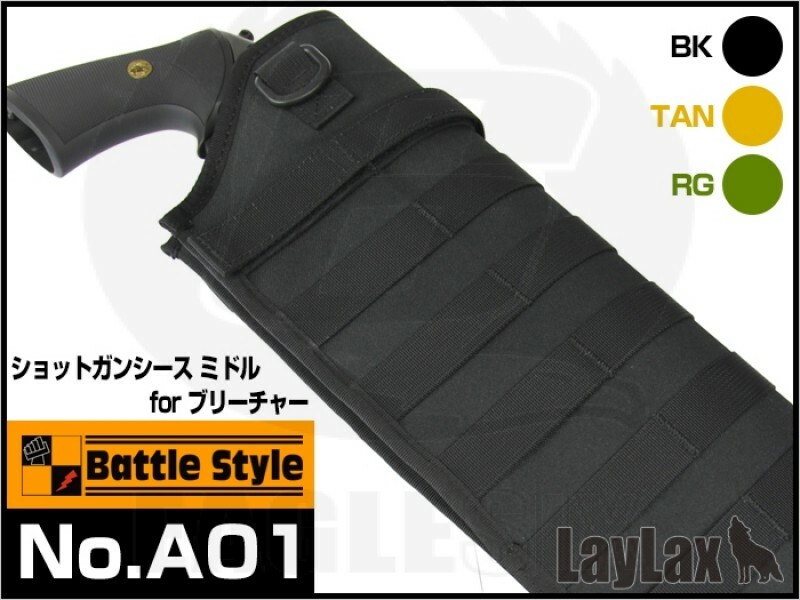 The various attachment parts including; 3 types of belts and MOLLE belts will allow you to arrange wearing the sheath on the; back, hip, legs, tactical vest...etc.